To mark the 30th anniversary of the America’s 11 Most Endangered Historic Places list in 2017, we highlighted 11 once-endangered sites that are now thriving and contributing to their communities. The diverse range of places on this list reflect not only their rich history and compelling stories, but also the tireless dedication of the people who brought each place back from the brink. Not only is Antietam often called the bloodiest day in American History, it also ended the Confederate invasion of Maryland and led President Abraham Lincoln to issue the Emancipation Proclamation in 1862. 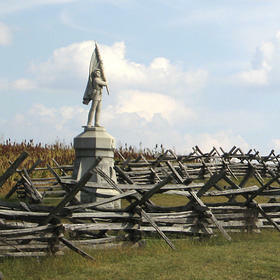 This historic battlefield eventually came under threat from a proposed shopping center and other developments nearby, so the National Trust added Antietam to the first list in 1988. Since its addition to the list, Antietam raised much-needed funding for its preservation and is today considered one of the nation’s best-preserved Civil War battlefields. The Penn School (now part of the Penn Center) was the first school founded in the Southern U.S. specifically for the education of African-Americans. 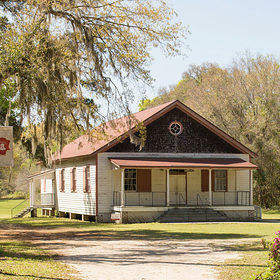 A former plantation, the school was established in 1862 and survived through the early 1950s, but it never fully recovered after many of its students enlisted during WWII and migrated away from the area. The publicity generated by its listing in 1990 helped the Penn School raise funding for much-needed repairs. Today, the school operates as a museum and special events center, and President Obama included the Penn School as part of the Reconstruction Era National Monument in 2017. 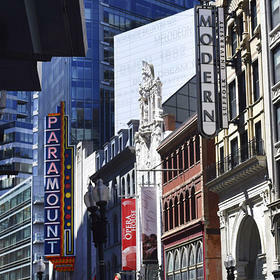 Along with the rise of contemporary theater in the early 20th century, the Boston Theater District thrived as the epicenter of the city’s nightlife and social scene. Three of its most prominent theaters—the Paramount Theater, the Modern Theater, and the Boston Opera House—fell into disrepair as the surrounding area faced economic distress. Thanks to its addition to the list in 1995, the City, nonprofits, developers, and others partnered to rehabilitate and reopen the theaters as arts and entertainment venues. This action contributed to the revitalization of the surrounding neighborhood, and the National Trust gave the theaters a Preservation Honor Award in 2011. 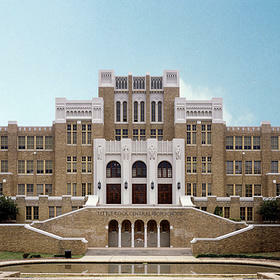 Once the largest high school in the nation, Little Rock Central High School became a focal point of the Little Rock Integration Crisis in 1957. It served as the first test of Brown v. Board of Education when nine African-American students—also known as “The Little Rock Nine”—were denied entry to the school in defiance of the Supreme Court ruling. Little Rock needed $6.5 million in repairs after years of deterioration, so in 1996 the National Trust added the school to the list. Congress established the school as a National Historic Site in November 1998, and, along with its associated partners, made all necessary renovations for the historic high school to flourish again. 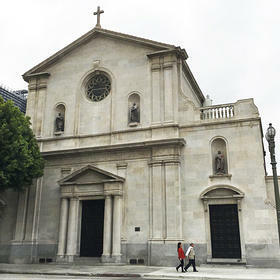 Opened in 1876 following five years of construction, the Cathedral endured until 1995, when the Roman Catholic Archdiocese of Los Angeles began to move ahead with plans to demolish it. Listed in 1997, the ultimately successful fight to save the then-Cathedral of St. Vibiana was a defining moment for Los Angeles preservationists. Now known simply as Vibiana, the building is a stunning full service facility for an array of entertainment, corporate, non-profit, wedding, and performing arts events—and home to the critically acclaimed restaurant Redbird. From playing a pivotal role in the Revolutionary War to serving as a major United States Coast Guard installation during the mid-20th century, Governors Island was once the national’s oldest continuously used military post. 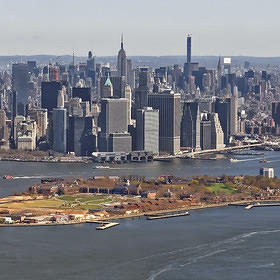 The base was identified for closure in 1995, but Presidents Bill Clinton and George W. Bush, along with Governor Pataki and Mayor Michael Bloomberg, managed to save Governor’s Island and designate it as a National Monument and public park in 2001, just four years after its addition to the list. Today, the northern half of the landmark is open for public use. Learn more about these and other unique and endangered American places. Sign up for email today! Angel Island Immigration Station, sometimes called the “Ellis Island of the West,” was a point of entry to the U.S. for immigrants from 80 countries across the Pacific Rim between 1910 and 1940. After the end of World War II, Angel Island was abandoned and fell into disrepair, until a park ranger re-discovered that immigrants had carved and painted poetry into the station’s walls and floors during its years of operation. 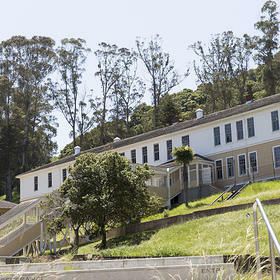 Since listing Angel Island in 1999, the National Trust and the White House Millennium Council have recovered and preserved more than 200 poems from this historic spot, and in 2000, California citizens voted to set aside money for the station's complete restoration. 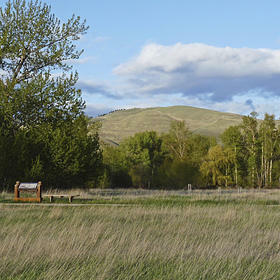 Impending development and controversy over the actual location of Travelers’ Rest, the only archaeologically verified Lewis and Clark campsite along the Lewis and Clark Trail, threatened the landmark during the mid-20th century. To shed light on this historic spot, the National Trust added Travelers’ Rest to the list in 1999. Its listing sounded the alarm and motivated archeologist Dan Hall, along with the Mellon Foundation, The Conservation Fund, and the State of Montana, into action. Travelers’ Rest was protected as a state park and 2001 and today stands at 65 acres. Once a summer home for President Abraham Lincoln and other previous White House residents (including Buchanan, Hayes, and Arthur), President Lincoln’s Cottage eventually suffered the damaging effects of time, use, and stress. Though designated a National Historic Landmark in 1973, the cottage fell into severe disrepair with seeping basement floors, rotting wood windows, and outdated electricity and plumbing. President Clinton designated the home as a National Monument in 2000, the same year it was added to the list. 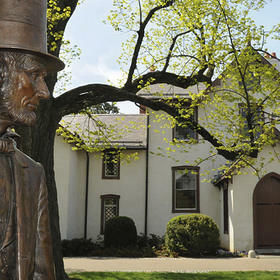 President Lincoln’s Cottage opened to the public in 2008, thanks to a $15 million restoration project led by the National Trust. 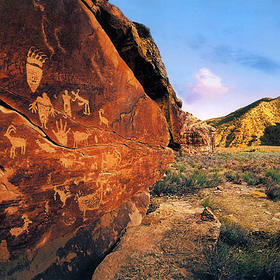 Thousands of ancient petroglyphs, pictographs, rock shelters, granaries, and other cultural resources line the Nine Mile Canyon in Utah. Although it features relics of the Ute people and Fremont culture from as many as 1,700 years ago—along with more recent historic sites from the famed 19th-century Buffalo Soldiers—the Canyon recently came under threat. A chemical dust-suppressant caused by the daily traffic that rumbled through the area began to harm the ancient pictographs and petroglyphs. After the Canyon’s listing in 2004, the National Trust and the Nine Mile Canyon Coalition successfully raised awareness and increased visitor rates, resulting in a fully paved road that now winds through the entire canyon. The Statler exemplified innovations characteristic of Modernism on a grand scale. 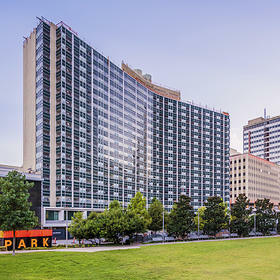 Its sheer size, bold form, and innovative architectural features made it an icon of mid-20th-century design. Many of the luxuries added to the hotel—including elevator music, roof-top swimming pools, and TVs in every guest room—were unheard of at the time of its construction. However, The Statler sat vacant for many years and faced threats of demolition until redevelopers embarked on a $175 million renovation after its listing in 2008. The repairs are nearly complete and will bring this crown jewel back into the spotlight. The 11 historic places we chose could not have been saved without the dedication and awareness of people who lived and worked in their surrounding communities. The National Trust celebrates each of these success stories, but we know there is still work to be done. Thousands of important places throughout the country remain endangered today. With your help, we can continue saving places that matter—support our work today.